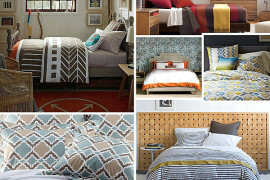 Sometimes a new pair of shams can add a bold dose of pattern to your bedding. 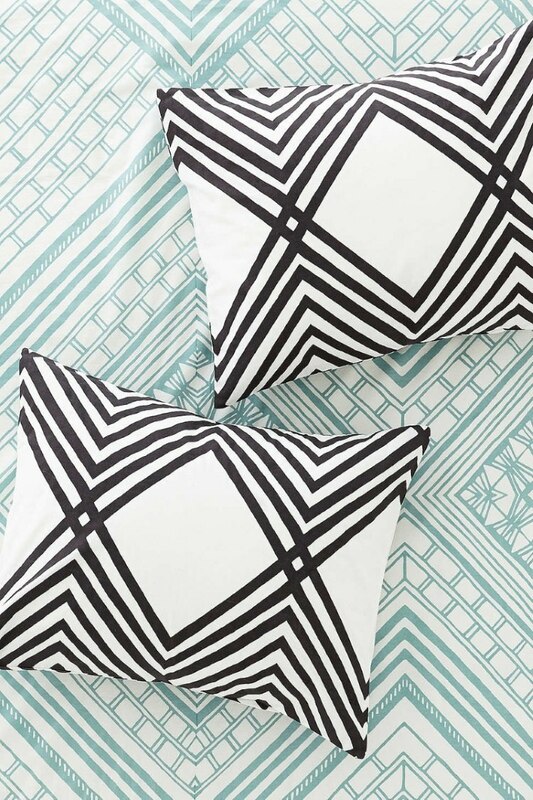 This Magical Thinking Mirrored Sumatra Sham Set from Urban Outfitters features a mirrored graphic print. Love the look? 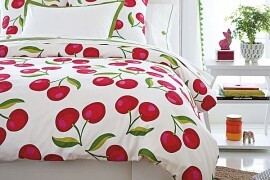 Check out the corresponding Duvet Cover! 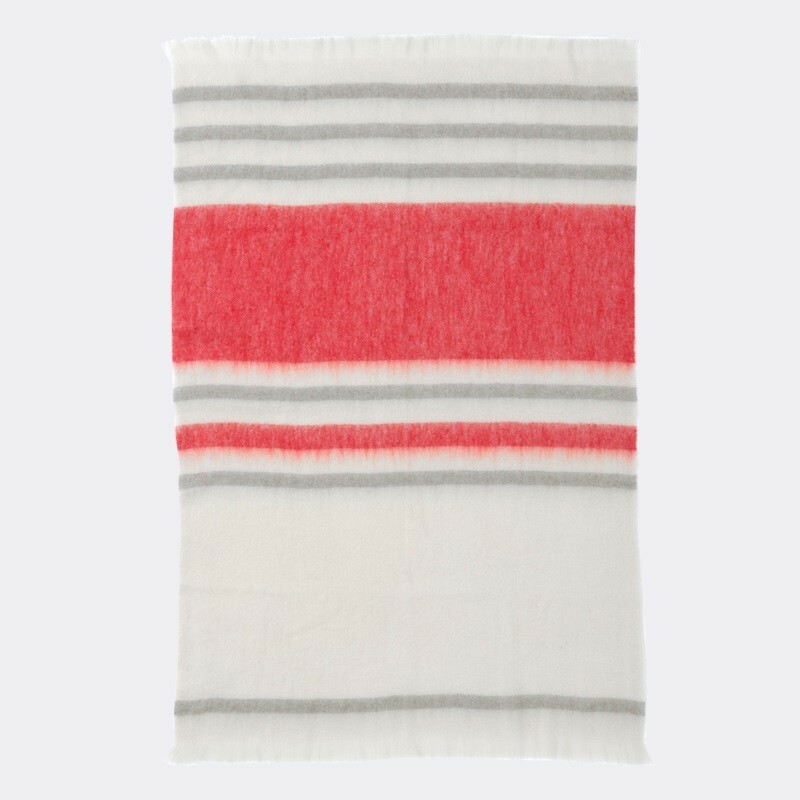 Looking to refresh the bedding of your little ones? 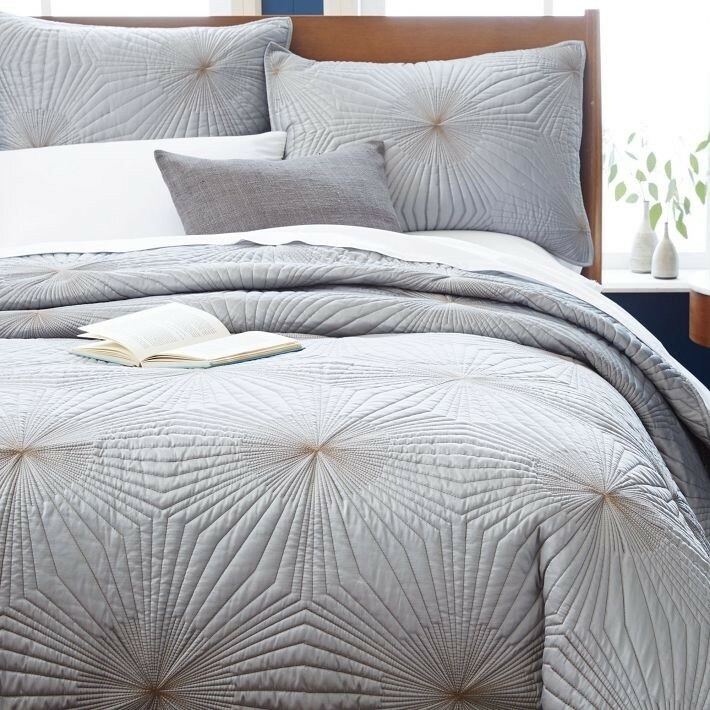 Fall is a great time to make a new start and ensure that bedding is comfy. 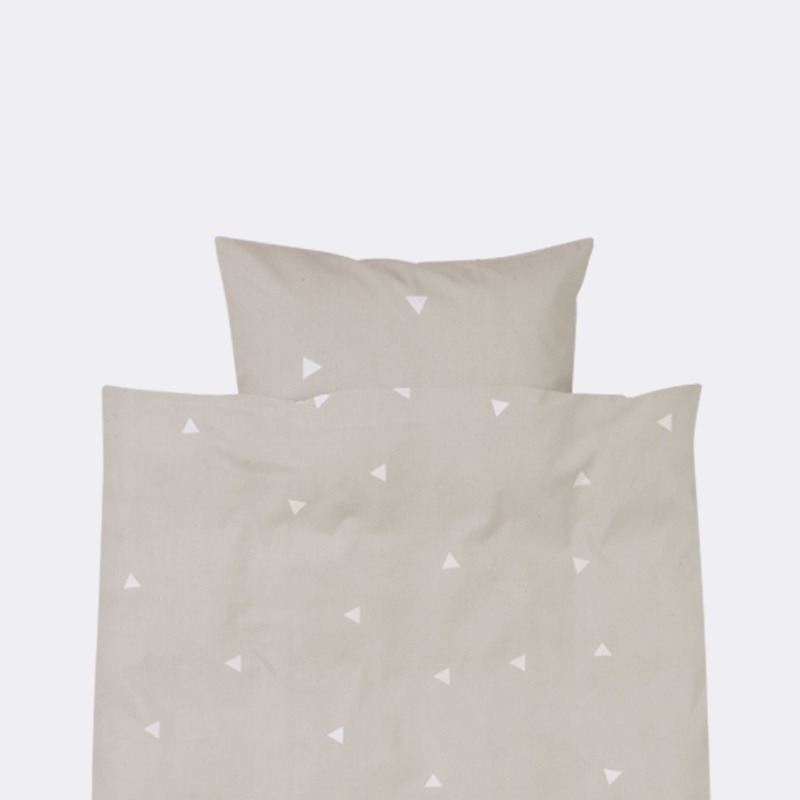 This Swiss Dot Bedding from The Land of Nod features black dots on a white background. 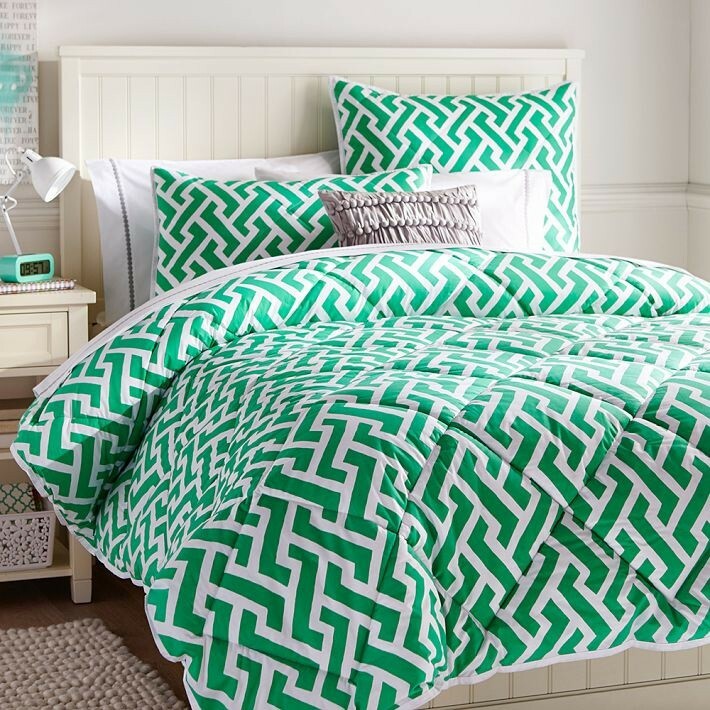 Designed by artist Erin Jang, it’s the perfect transition to “big kid” bedding. 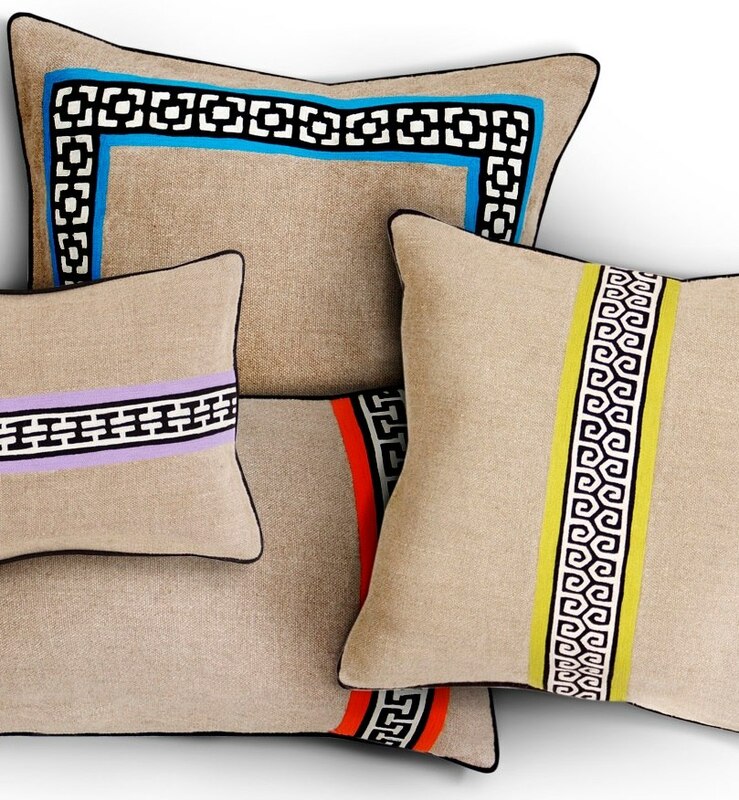 Not to mention, it goes with everything, including fun and festive throw pillows! 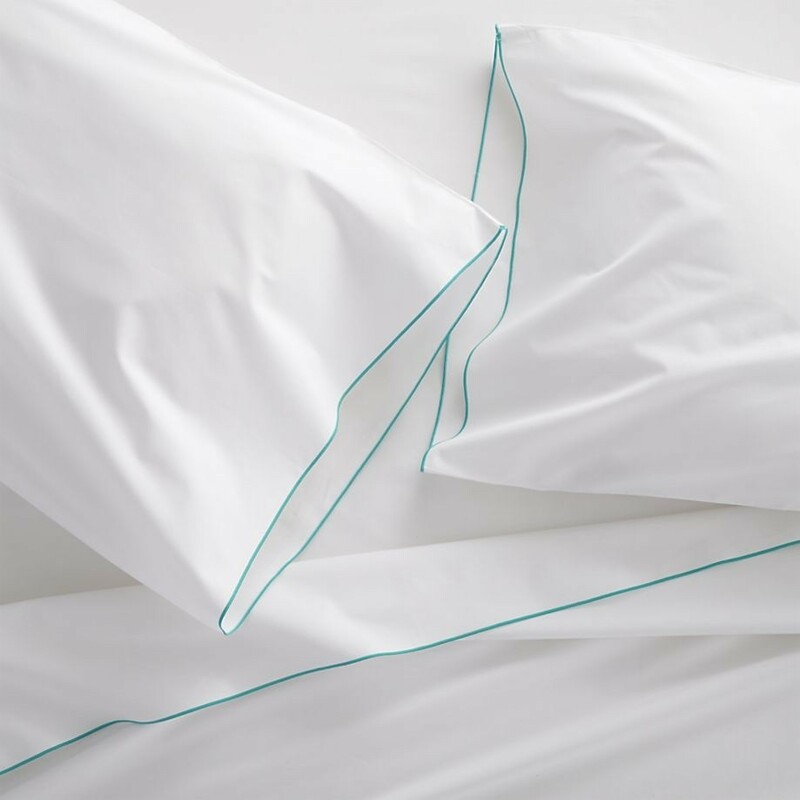 Here’s another subtle yet strong choice: the Teepee Bedding from Ferm Living, complete with a minimalist triangle motif. 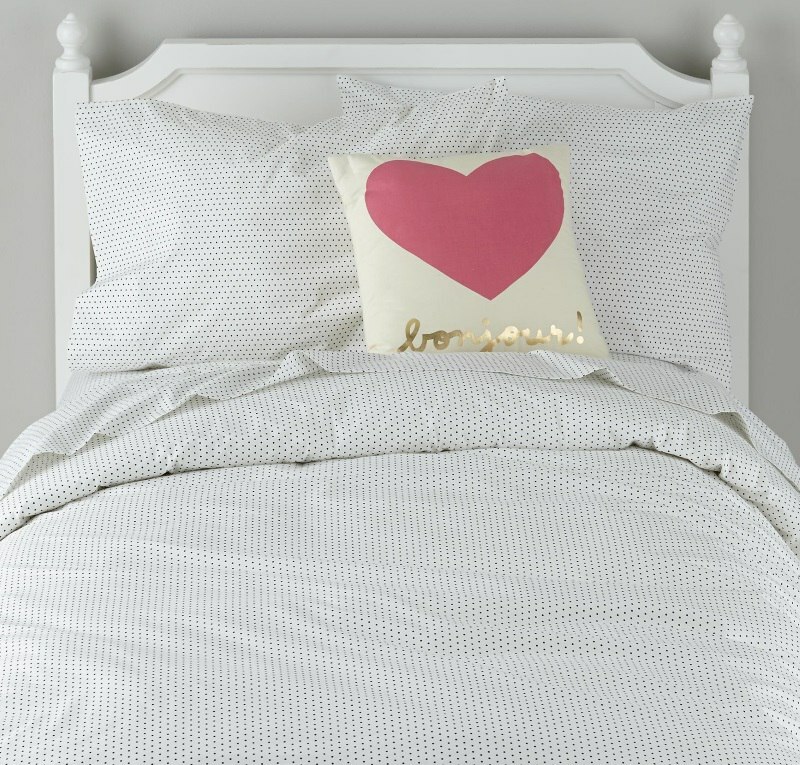 Did we mention that this bedding is 100% organic cotton?! The best of comfort and style! 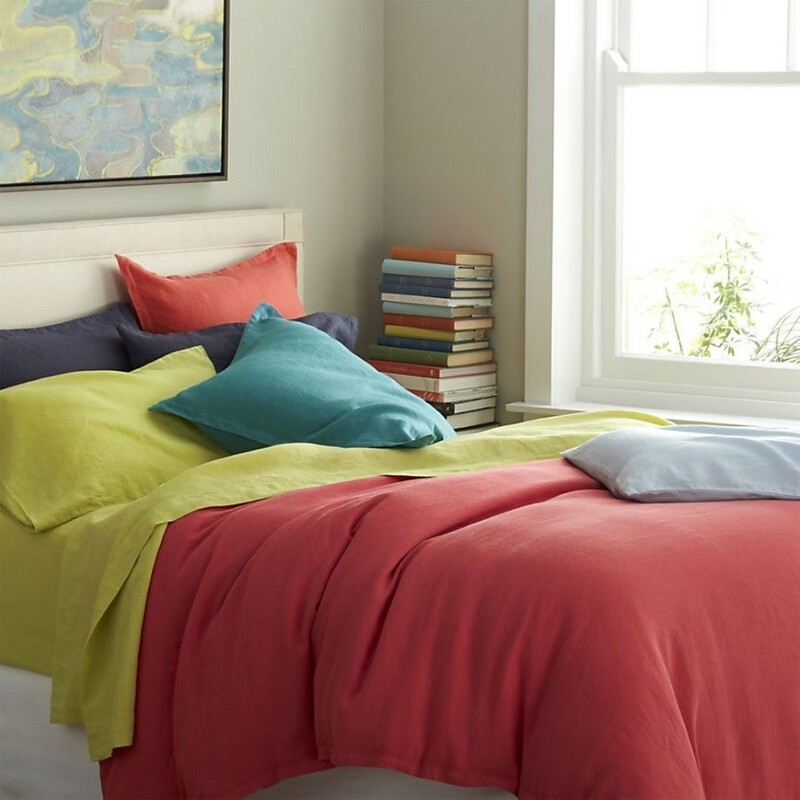 If you’re in the mood for something a little more colorful, try this Dapper Duvet Cover from The Land of Nod. 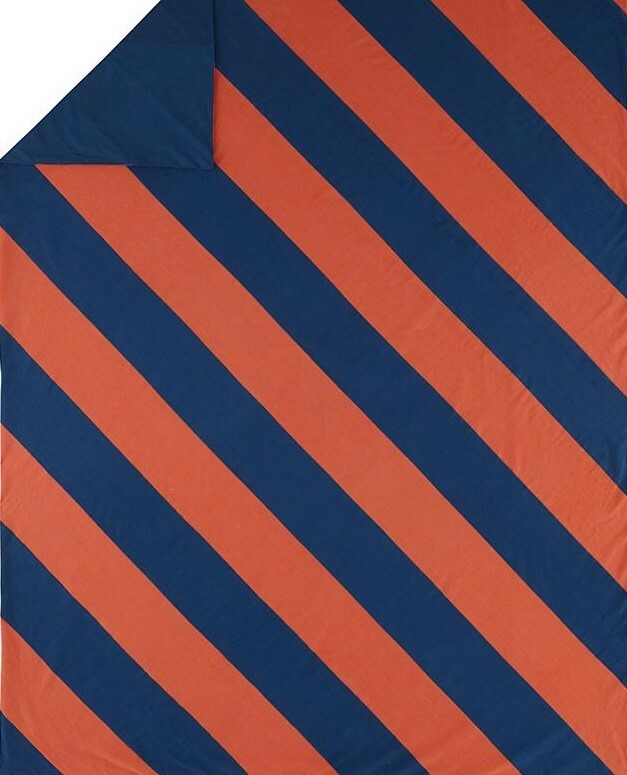 Diagonal stripes are one of fall’s biggest trends, and this striking combination of hues will definitely get noticed! 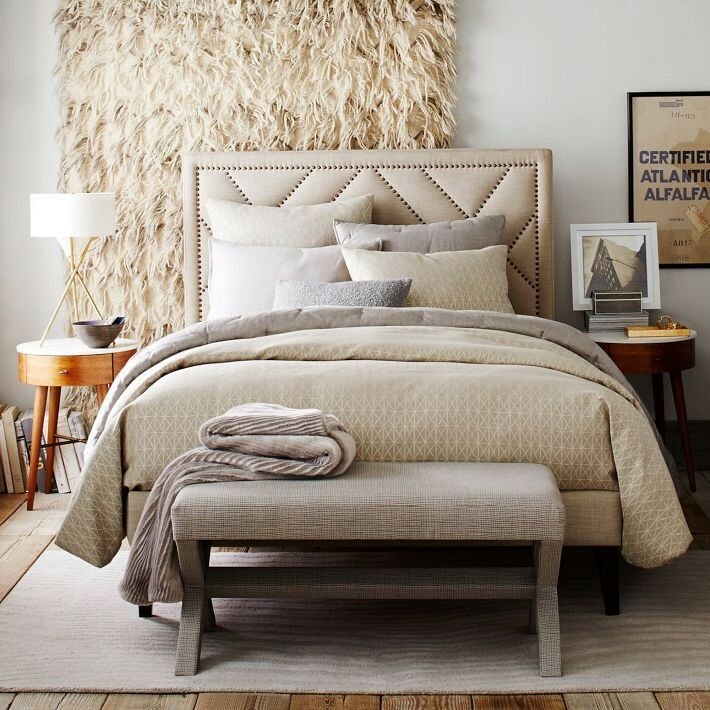 Then again, a sham or two can do wonders in refreshing an entire bedding vignette. 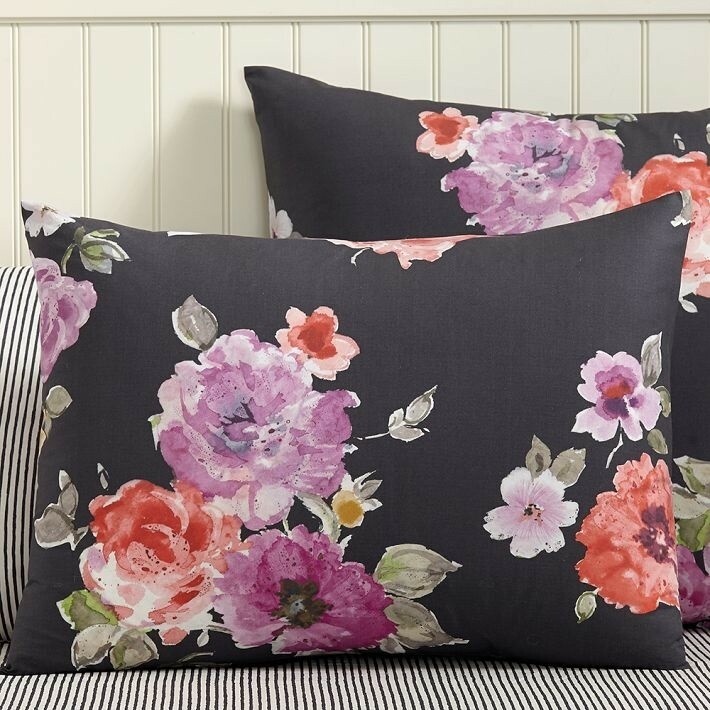 This feminine Vintage Bloom Sham from PBteen is so chic! When you check out the link, also note the duvet cover in a matching pattern. Ready to shop? We know–so many possibilities! But that’s the great thing about welcoming a new season, isn’t it? !